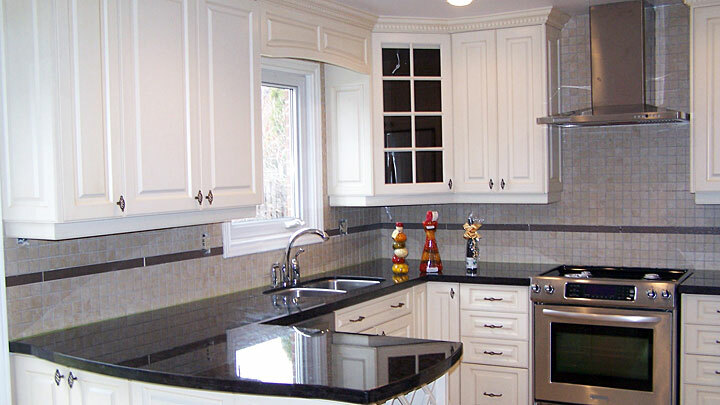 Refacing an existing kitchen in white always upgrades a dark old kitchen. We replaced the upper cabinets with 45" high ones, added crown moulding, valances under the tall upper cabinets to create an upscale custom look. Notice the detailed end panels, new designer handles from Richelieu's newest collection, end gables, and wine rack completing the timeless designed refaced kitchen. The best part was that thousands of dollars were saved and the huge mess of replacing the entire kitchen was avoided. This kitchen was refaced in its entirety in just two days.